Test drive multiple sup paddle boards side by side before you buy! The No-Brainer way to buy the perfect paddle board that is best suited for you!!! 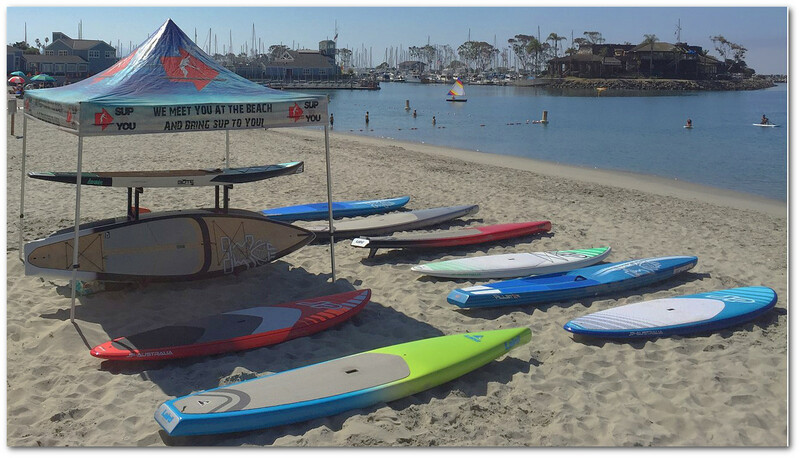 We are the only paddle board outfitter in OC that has demo boards for every model we carry that you can try out side by side! That’s right, you can try out different models to best understand which board model is right for you. You can read about the different styles of boards and how they perform, or try them out yourself and find out which sup is most suitable for your skills and desires. There is nothing like test riding different models side by side, and experiencing firsthand how they each feel on the water. You can hand select sup paddleboard models that you can test drive before you buy. If you are looking for the best sup for surfing or the best fishing sup, the most stable inflatable sup or even the best beginner sup to learn and improve on, trying the brands and models side by side can really help you make the right decision that you’ll be happy with. One of our specialist can help guide you into some paddle board options to best suit your paddling criteria. There are a few ways you can test drive various sup board brands and models. 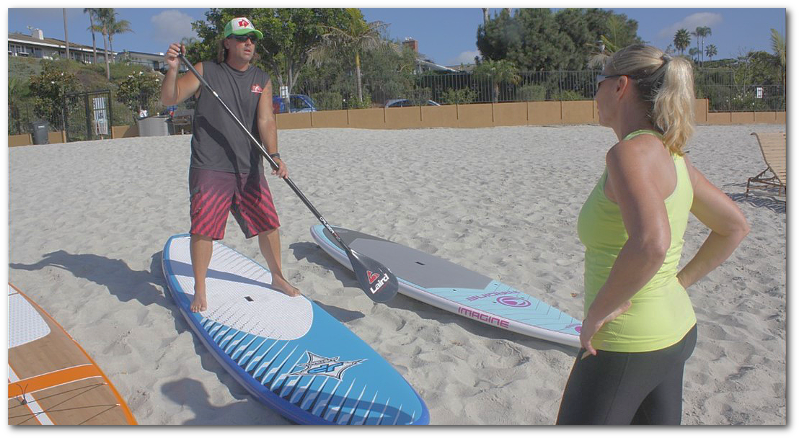 A private demo with one of our sup specialist, weekly DEMO DAYS on Saturdays at Baby Beach in Dana Point, or personal use demo. MAP LINK TO BABY BEACH! The parking lot can get filled quite quickly in the summer, so come early to secure a parking spot. Otherwise, if the lot is full, there is a free trolley that runs throughout the harbor, so just park at one of the bigger parking lots in Dana Point to hitch a ride direct to Baby Beach! **For a limited time only, we are offering private demos ON THE HOUSE! Call or sign up today!!! We offer privately scheduled demos to qualified participants who are ready to buy their ultimate SUP! There is an $80 deposit that goes towards your board, so figure if you are serious about buying the best suited real deal SUP, it's a NO-BRAINER! Pick online to hand select multiple paddleboards to test out! We will meet you at one of our demo locations with all the boards you want to try. Just show up at your scheduled appointment time, and test out multiple boards side by side! One of our specialists will paddle along with you if you desire, to offer tips for getting the most out of the design of the board you're testing out, and even to give you some paddling tips as well. You can also invite your family or friends to the demo to help you decide which paddle board is best for you! Utilize the online Test Drive Form and fill out the information and one of our sup specialist will contact you. To save paddle board demo time, click here to fill out the online . 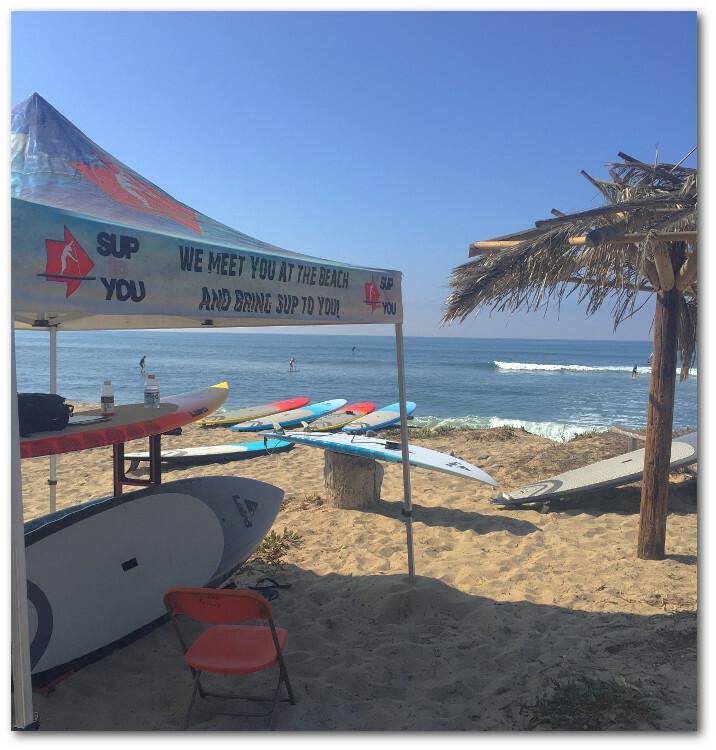 *Note: Our Demo Days special events are not set up to be a way to go try SUP, and our privately scheduled demo programs are not set up to be a SUP lesson / SUP rental. We offer these programs to serious buyers who are all ready to have us get the perfect SUP to YOU! For those looking to try SUP, we have the best way for you to learn. Our stand up paddle board rental will help you get over the hump. How? It's because our paddle board rentals are for the entire day! Then when you are all hooked on SUP (trust us, you WILL get hooked), come back to see us at one of our demo days events, or go schedule a private demo / personal use demo, and we'll get you on that perfectly suited SUP for YOU! Like the idea of having SUP delivered to your door step? Now you're getting it, SUP TO YOU! Schedule with us to drop-off and pick up your SUP you’re testing out! We will supply you with everything you need to rack a board on any car with four doors! Note: Some restrictions apply. Delivery areas for rentals are South Orange County, and LA to San Diego for SUP purchases. When you schedule your Test Drive, one of our specialists will get right back with you to confirm if you meet the criteria needs for delivery.